At 360m long and 65m high Oasis of the Seas is the largest Cruise Liner in the world, expanding from a remarkable 45m beam at the waterline to over 65m wide on the upper decks. It boasts 2,700 staterooms, providing the capacity for 5,400 guests at full occupancy. 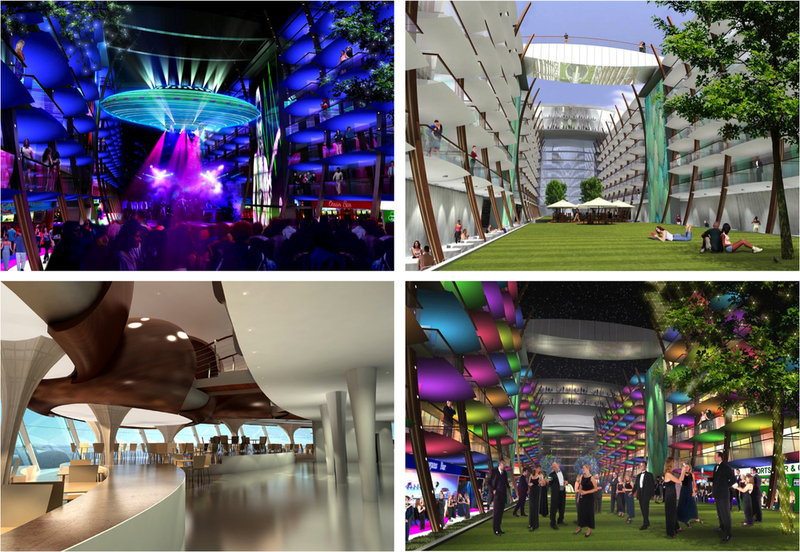 The design team was asked from the outset to look at the overall concept of the vessel and then as the design developed they took responsibility for a range of key elements of the ship including the iconic open air Central Park, the new super sized Royal Promenade that sits below it, and the Rising Tides bar that moves between the two.